Unfortunately on their latest MacBook, Apple have removed one of the more unique features of the range and have now replaced the magnetic power connection with a plug-in USB-C connector. 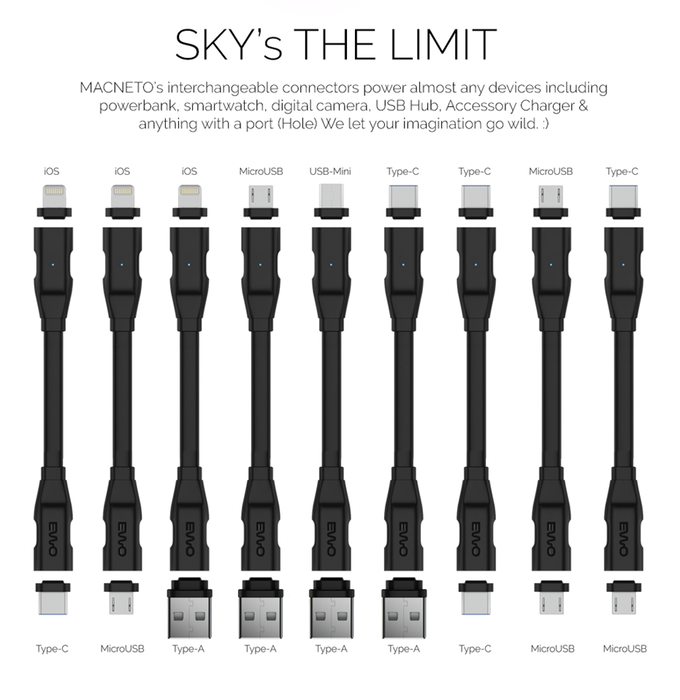 The magnetic power connector was useful in that it would easily easily disconnect from your expensive laptop, if the power cable became caught or snagged by a passerby. Saving your laptop from any damage as it was pulled from your desktop onto the floor. 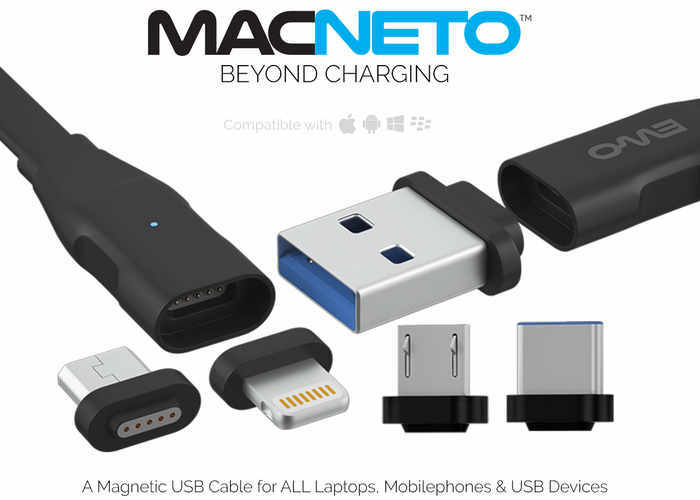 One company is now looking to correct this and has released a new magnetic cable connection kit called the EWO MACNETO. The new magnetic connection kit allows you to connect a wide variety of different connections using a magnetic connection. The kit currently supports iOS, micro USB, mini USB, USB type-C connections and Type-A. Watch the video below to learn more about the interchangeable connector that allows you to charge a wide variety of devices using a magnetic connection. For more information on the new MACNETO kit jump over to the Kickstarter website for details by following the link below.